Which Downtown High-rise is right for you? Keep track of your answers and read all about the buildings at the end! Q 1.) Is a Las Vegas Blvd address important to you? A. Um, I didn’t know there were buildings with one? So, nope. D. Nope, I don’t care about that. Q 3.) How many neighbors are ideal for you? A. Lots, I love to interact with my neighbors. B. A building with vacation and second home owners is more ideal. C. A good amount, I like to mix with my neighbors. D. A minimal amount, I like my privacy. Q 5.) What is the smallest kind of floor plan you could live in? Q 7.) What kind of floor plans are ideal? Q 9.) Do you need a communal event space in your building? A. Kinda, I don’t mind if it’s an outdoor area. Q 11.) Parking for you and guests which is the most ideal? Q 13.) What type of restaurant would you like to find in your building? Q 2.) Are you okay with tourists, loud music, and semiregular parades? A. Um… Once in a while but not frequently. B. Kinda, but only on special occasions. C. Yes, I love to be a part of the party. D. No, I prefer it to be quiet most of the time. Q 4.) Do you prefer to have a bar or a place to grab a drink in the building? A. Yup, a good one with a happy hour nightly. B. Yes, please but nothing too crazy all the time. D. No, I don’t mind a short distance to one. Q 6.) What is more important to you? The location, views, and starting price? Or the amenities? Q 8.) What kind of flooring do you prefer? Q 10.) What kind of lobby do you prefer? Q 12.) How important is a workspace in your building to you? A. Very, I want it and need it. B. Not my thing I don’t want to work at home. C. It doesn’t have to be a designated spot so long as I can find a quiet place to knock some work out. D. I’d like it but it doesn’t top my list if there are other areas I can work in the building. Q 14.) What kind of down payment is most ideal? If you got mostly A’s Juhl is for you. 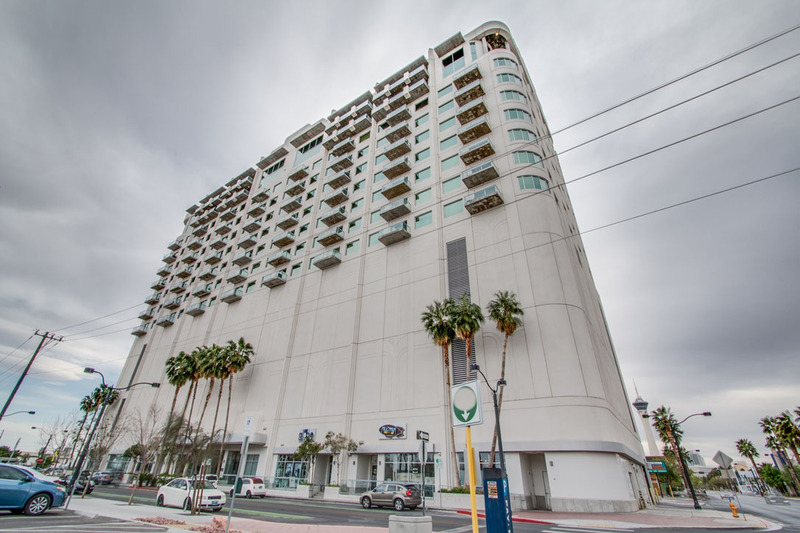 Juhl is one of the largest properties in downtown covering a whole city block! 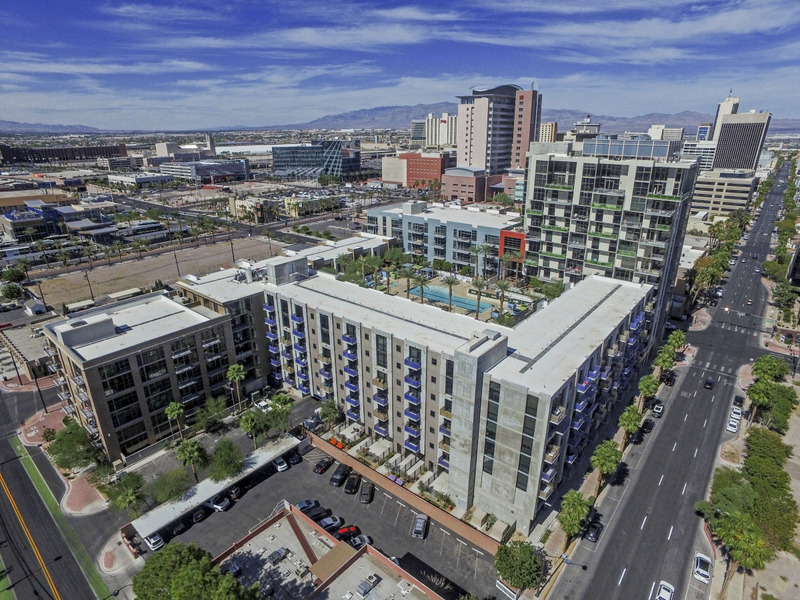 You’ll find the lowest starting points to own and rent in downtown. Typically speaking the floor plans are the smallest of all the downtown high rises but with oversized and over the top amenities and lots of commercial tenants this property is sure to a place you’ll love calling home. There is a two-story gym, a resort style pool, BBQ areas, outdoor theater, wine deck and communal workspace all built into the property. Juhl like Ogden has organized events and a social calendar so you can meet your neighbors and explore more of the downtown community. Call me to schedule a tour! If you got mostly B’s Soho Lofts is for you. Soho is in the heart of the 18B Art’s district in downtown. Here you’ll find artist worthy loft spaces with lots of light, exposed industrial elements, and polished concrete floors. HOAs are very reasonable for the amenities which include a rooftop pool, hot tub, sauna, sleek gym, a 24-hour doorman, security cameras and gated garage parking. You’ll also find a gourmet sandwich shop, an attached bar, a salon and some open commercial space that could be just about anything. 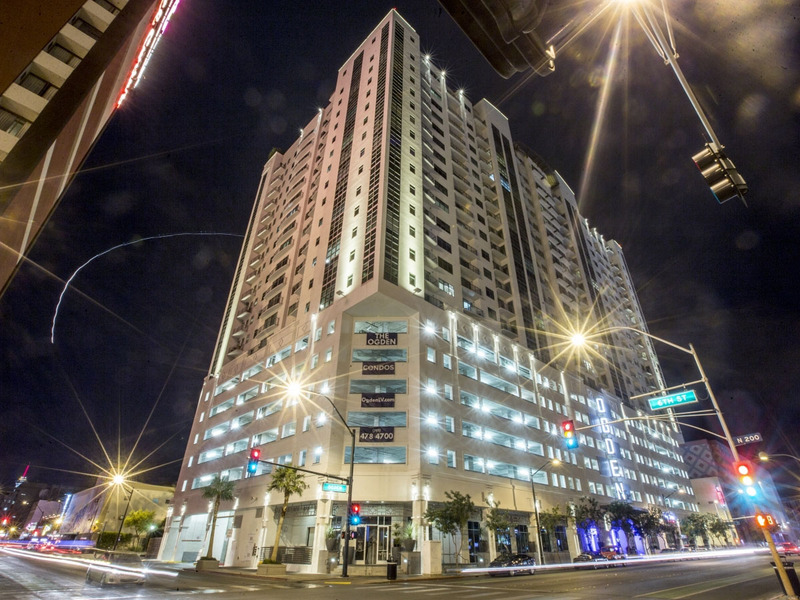 The building boasts some of the best views of the downtown city and the strip. Soho also offers some of the largest floor plans in downtown that rival most single-family homes in terms of square footage, nearly all the units have two full baths and two walk-in closets. If you got mostly C’s The Ogden is for you. If you got mostly D’s Newport Lofts is for you. Newport can have a similar feel to Soho Lofts and with good reason, both were developed by Sam Cherry. You’ll find open lofts with polished concrete flooring or wood flooring with a mix of exposed industrial piping, high ceilings, killer downtown and premium strip views. Newport’s rooftop is what makes this building unforgettable. 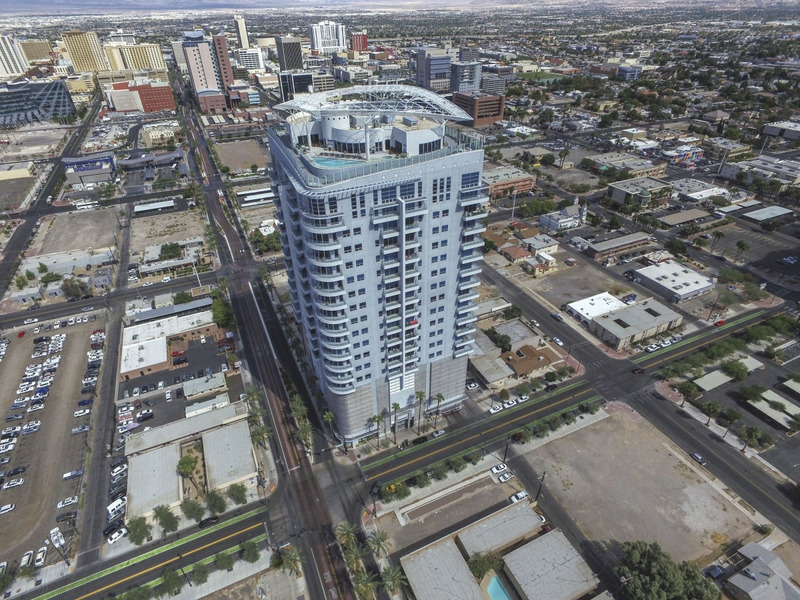 The rooftop has its own pool and hot tub overlooking the strip, a state of the art gym, a running track around it and an oversized event space to host a party in. Residents are also part of the 18B Arts District and enjoy some of the lowest HOA dues of any of the downtown properties. You are also strategically located closest to the events of First Friday. This building is said to feel the most private with most owners opting to call it home only part of the time. You’re also just far enough off the main parade routes in Downtown so it stays the quietest of the high rises. Disclaimer: This quiz is not meant to steer or solicit for any building or property.